Shortly after my parents divorced, when I was living in housing with my dad, I decided to make a cake. It was a box mix cake because baking isn’t my strength and when I was 16 cooking in general was not something I had a handle on. I thought it would be nice to surprise my dad with this cake. 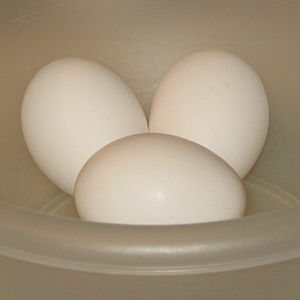 So I my cake-baking on, putting the mix in a bowl and getting the eggs out of the fridge. As I’m putting the eggs back into the fridge, I drop the carton. I can’t remember exactly how it happened; I just remember that every egg in the dozen sans the two I pulled out for the cake mix broke all over the floor. They say not to cry over spilled milk, but I tell you what, I bawled over those broken eggs. And that incident stands out in mind as the perfect illustration of me trying to do something nice for people. I pay for it in some way. It doesn’t stop me from doing it, but I admit, the price has sometimes been high. I realize this can come off as whiny and bitter and I admit to being a little whiny and bitter about it, but I’m also fascinated by it. “No good deed goes unpunished” isn’t just a saying for me anymore. It’s a rule to seriously consider before I do something nice for someone. If you believe in Karma (and I kind of do), then ideally, if you do good, you get good in return. I do good and I, well, I don’t get it back. In terms of Karma, it makes me wonder what bad I’m still burning off that I can’t catch a break. I should clarify that I don’t do good things for people with the idea of getting good things in return. First of all, it doesn’t happen. Second of all, I do good things because I think they should be done and I want to do them. It’s not an entirely altruistic feeling. Sometimes it feels like a duty or an obligation and maybe that’s where I’m screwing myself. It’s a have-to, not always a want-to. Good things don’t come from obligations. That’s why they’re obligations. But then you have to figure that it’s because I feel like I have to do nice things for people that I keep doing nice things for people. Let’s face it. You would think that at some point I’d learn my lesson and just stop doing anything nice for anybody to avoid the cosmic retribution that comes with it. But I don’t. I keep doing nice things knowing that a kick in the groin is most likely coming. Maybe not today, maybe not tomorrow. Sometimes not at all. Sometimes I get nothing and I’m happy with that. Nothing beats a groin kick any day. I guess what I’m trying to say with all of this blathering is that I like to do nice things for people even if I get some not-so-nice things in return from the universe and it just boggles my mind how literally my life takes the “no good deed” saying to heart.